Features: INSTANT INSECT ATTRACTION & ELIMINATION: This bug zapper emits a 365 nm wavelength, which has been scientifically proven to be highly attractive to insects, as it falls within their natural viewing wavelength. As flies, mosquitoes and any other flying insect can’t resist approaching the light source, they get immediately zapped. 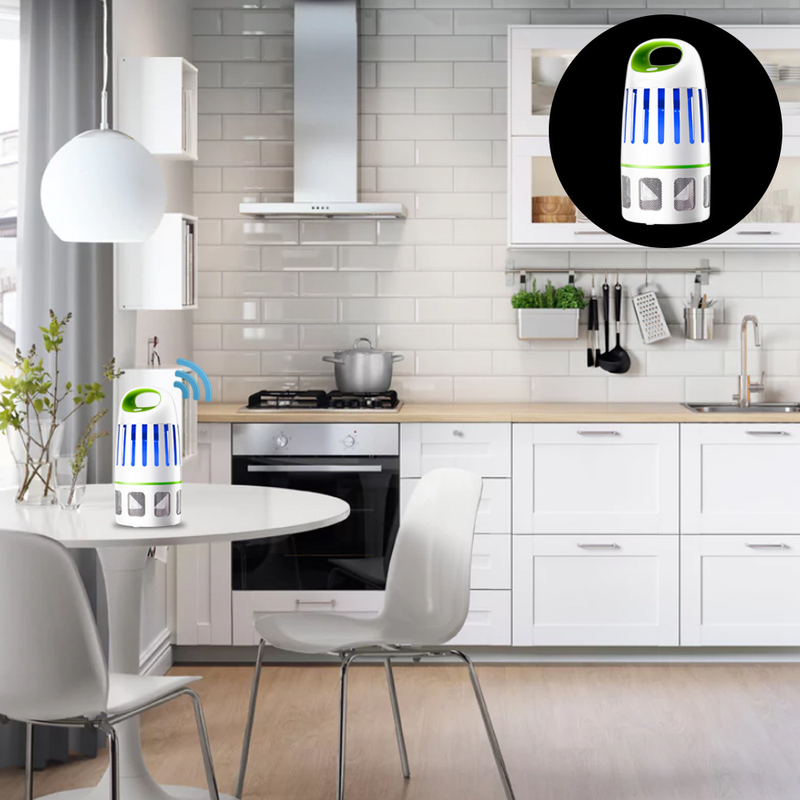 360 DEGREE MOSQUITO MOUTH AND SUPER SUCTION: Mosquito killer using tornado suction technology and 360 degree mosquito mouth, the wind up to 17000RPM, super suction, instantaneous inhalation of mosquitoes, mosquito rates increased by 50%. TOTALLY PHYSICAL METHOD FOR MAXIMUM SAFETY: Using physical method to attract and eliminate insects. 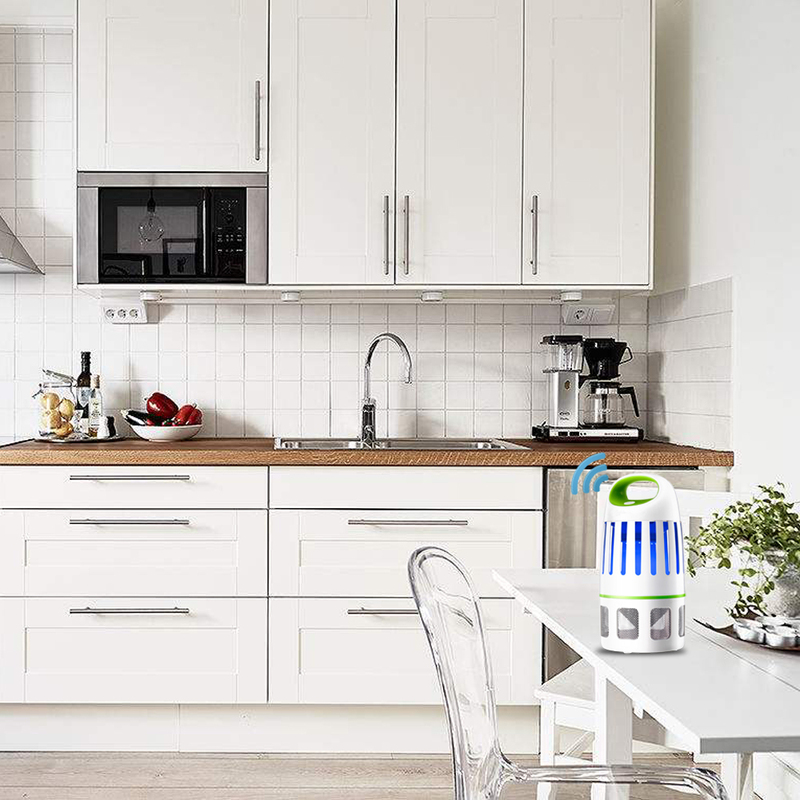 No chemicals involved in the mosquito zapper, no fumes, no smell, no sprays, no mess, toxic-free and pollution free , which is harmless to your health. So this help you won't be plagued by mosquito bites, fly buzz and so on. 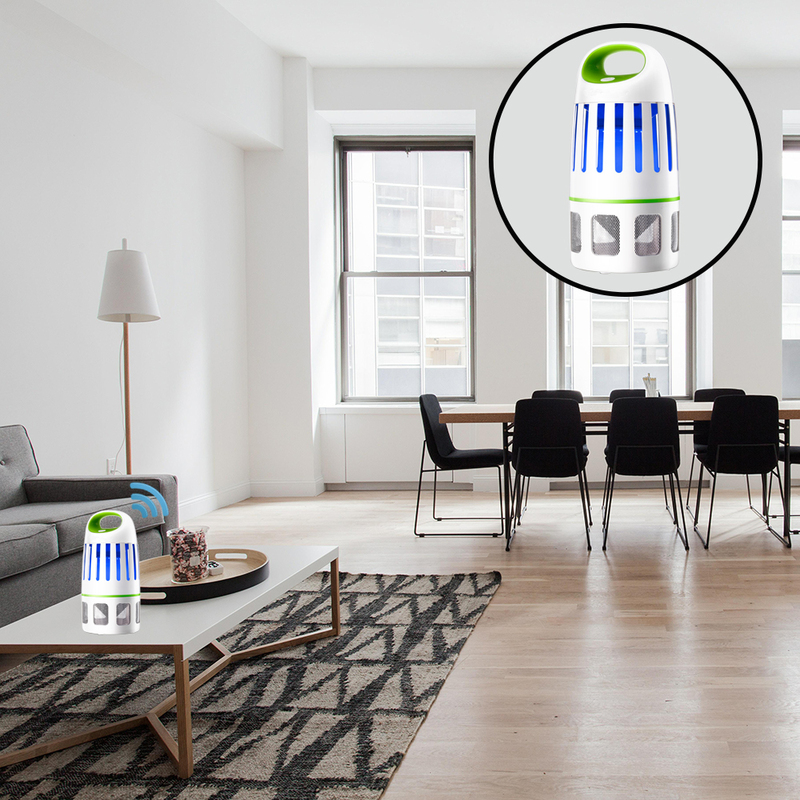 HYGIENIC AND EASY TO CLEAN: High-tech killing grid of this electronic insect killer creates a effective catch area.Collection tray is convenient and simple to clean and remove, maintain long life span of the insect trap.Just plug in socket and then press the power button to turn on the insect killer.